Lorde has announced that she has decided to cancel her show in Tel Aviv, Israel, after predictable calls for her to do so. She was told that to perform there would be to “break the boycott”. A boycott that is imposed by a fanatical fringe who try to bully everyone else to think and do as they say, accusing them of complicity with Israel if they do not. What terrible pressure to put on a young woman, as if the fate of the Palestinians depended on her decision. By succumbing to that pressure, she has – whether she intended to or not – made a political statement. 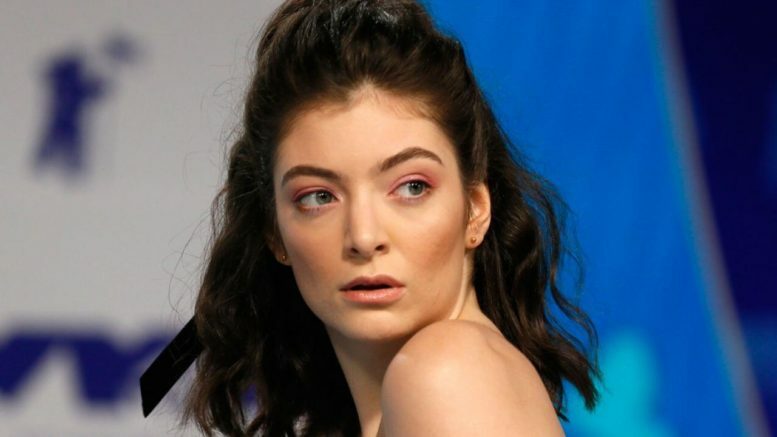 At the same time as she announced her show in Tel Aviv, Lorde, who said in her statement that she prides herself on being informed, also announced dates in Russia. Strangely, despite that country’s human rights abuses, support of the genocidal Assad regime in Syria, and occupation of Crimea, no one called for her to cancel that show or suggested she is a Putin supporter. Likewise, she is not accused of complicity with Trump and his policies when she performs in the United States. By bowing to the bullies, she joins the ranks of Roger Waters, Lauryn Hill, Elvis Costello and Annie Lennox. She parts company with Sia, Rihanna, Britney Spears, Gaga, Kygo, Elton John, Chainsmokers, Aerosmith, Bon Jovi, Justin Timberlake, Morrissey, Queen, Kanye West, Rod Stewart, Bryan Adams, Radiohead, Nick Cave, Guns N’ Roses, Elton John and Justin Bieber, to name just some of those who have performed in Israel in the last few years despite threats and calls not to. Boycotts against Israel are part of “BDS” – the boycott divestment and sanctions campaign against Israel that seeks to isolate it from the international community economically, politically, academically, culturally, and every other way. It is premised on the questionable basis that boycotts caused the demise of South Africa’s apartheid regime (which ignores other factors like the end of the Cold War), and on drawing a parallel between that regime and Israel. As with New Zealand and every other state, Israel has events in its past of which it should feel ashamed, and it is by no means perfect. But accusing Israel of apartheid, a term that rightly evokes revulsion, is nothing more than slanderous sloganeering that casts a slur on many millions of Jews (and others) around the world who support Israel and says more about the feelings of the person propagating it than the facts. And while facts may have fallen out of favour these days, it still helps to consider them. Israel’s 1.5 million Arab citizens vote, own land, hold seats in Parliament, sit on the Supreme Court, and are well represented in academia and the professions. By all objective measures, they have a far higher standard of living, better healthcare and educational opportunities than in neighbouring countries like Syria, Egypt, Jordan and Lebanon. They are not required to serve in the army, but many choose to do so, increasingly. The situation of Israeli Arabs is not perfect and there is room for improvement, but apartheid it is not. In the West Bank, an area which Israel gained control of after Jordan attacked it in 1967, the situation is more complex. There are different areas of administration and systems of governance in the West Bank, which were agreed by the parties in the Oslo Accords. The Arabs who live there are not citizens of Israel and come under the administration of the Palestinian Authority. They have remained that way, pending a final status agreement. They have their own legal jurisdiction and set of laws, enshrined in the Basic Law, which, founded in Islamic law, is intended to operate much like a constitution. They have not had elections since 2006, because of disagreements between the main parties, Fatah, the ruling party in the West Bank, and Hamas, which governs Gaza. Their parliament was disbanded in 2007. The fact that Palestinians do not vote in elections and do not have rights equivalent to Arab citizens of Israel, is not because of apartheid, but because, like their neighbouring Arab states, and despite billions in aid, their leaders have failed to embrace democracy and the rights that go with it. BDS advocates aren’t interested in peace, or rather, they are interested in the sort of peace that the late leader of the Palestinians Yasser Arafat was referring to when he said: “Peace for us means Israel’s destruction and nothing else”. Their ultimate goal, as stated by a founder of the campaign, Omar Barghouti, is the complete end of Israel, the world’s one Jewish state. He is on the record as stating that he supports a one state solution in which Israel will be replaced by a Palestinian state encompassing all of Israel and the Palestinian Territories. Resolution and real peace, in the form of self-determination for two people – a two-state solution – will not come from estrangement, segregation and a demonisation of one side. It will not be imposed by intermeddling Western outsiders who think they know best, nor from sowing further seeds of intransigence and mistrust. It will come from empathy, dialogue, co-existence, and a recognition that the other has legitimate grievances and rights. If Lorde wanted to help with that, she could have performed in Tel Aviv, a liberal secular city, and visited grassroots movements in the West Bank, co-founded by Palestinians and Israelis, as I did last year – movements promoting non-violence, transformation and dialogue between the two sides. But by cancelling, she has given a nod to hatred and hypocrisy, disappointed the vast majority of her Jewish fans wherever they live (and many others besides), and not made any practical difference to the Palestinians’ predicament. She has taken a bow to a small group of noisy bullies. 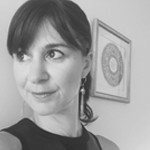 This article, written by Juliet Moses, was originally published by Fairfax Media. Juliet Moses is a lawyer and a spokesperson for the New Zealand Jewish Council.